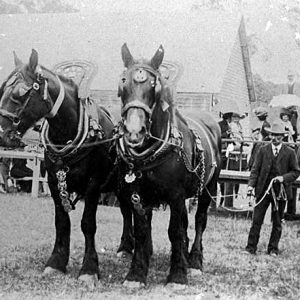 The first Nerang Agricultural Show was held on 30 September 1885. 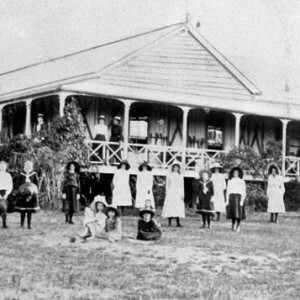 The origins of the Nerang Show can be found in a public meeting that took place on 30 August 1884 at the Music Hall at Nerang where people had gathered to discuss forming an Agricultural, Pastoral and Progress Association. Mr J H Maynard had conceived the idea and he was supported by a large number of residents attending the meeting to represent the various industries of the district. Mr E J Stevens led the meeting and, after much discussion, the Southern Queensland and Border Agricultural and Pastoral Association formed and a committee established with Mr E J Stevens taking the role of the president. In 1882 a show ground reserve, of 7¼ acres, had been set aside, but no agricultural shows had been held on the site. The boundaries were amended in 1884 and in April 1885 William Philpott, Edward Hicks, Robert Hope, Samuel Joseph and Isaac Andrews were appointed as trustees for the reserve. 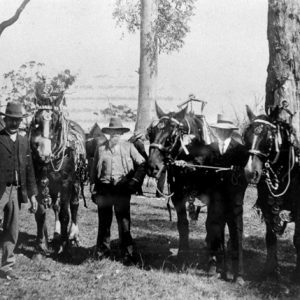 Prior to the formation of a committee and the appointment of a group of trustees to manage the show ground, ploughing matches had been held in various parts of the Logan, Albert and Nerang districts. One of the last of these independent matches was held on 21 May 1885 and was conducted by the newly formed Southern Queensland and Border Agricultural and Pastoral Association. The match was held on land held by the former Manchester Cotton Company, owned by Mr Potts at Carrara and there were 13 competitors vying for prize money totalling over £40 with a public dinner held at the Nerang Hotel after the match. It’s believed that the annual ploughing matches were ongoing but, despite being organised by the new association, they continued to occur in the first half of the year and were not held at the same time as the agricultural show which was scheduled during late September or early October. 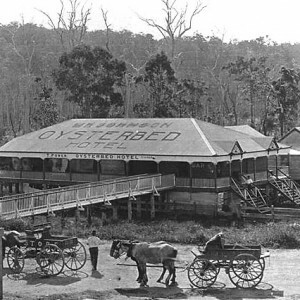 The first agricultural show was held in the new showgrounds on 30 September 1885 and was well attended. The show offered prizes for horse and livestock events with agricultural and dairy produce, including fruits, vegetables, butter and flowers on display. The Divisional Board hall was used to showcase items better displayed indoors. ‘Miscellaneous Colonial Products’ were also shown and the local school children contributed examples of handwriting, maps and sewing. A Union Jack flag, created by Mrs Thomasine Browne, was flown at the event. By the following year, the show ground had been improved with the addition of a fenced show ring and the frame and roof of a dedicated show hall. 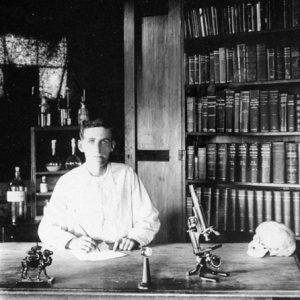 While the construction of the hall was not complete, it was used for displays including a series of watercolours by Edwin Bode and a collection of taxidermy birds and animal skins. Despite having 100 more entries offered than the inaugural show in the preceding year, attendance and contributions were low due in 1886 due to almost constant rain. Flooding in 1887 resulted in the show being cancelled with the horse parade and display of ploughing postponed and taking place on the lands of the former Manchester Cotton Company. The impact of weather and other events meant that shows were not held every year. Over time, the need for new show ground to accommodate a greater number of exhibits and changes in community expectations was identified. In 1927 at a special meeting a report was received regarding sites for a new showground with a view to obtaining permission to use the recreation reserve at Nerang for show purposes. Discussion about relocating the show grounds also took place in 1933 with the desire to purchase a parcel of land from Dr M’Cafferty located on the other side of the railway line. In 1938 it was proposed that the show buildings be relocated to the little used recreational reserve. 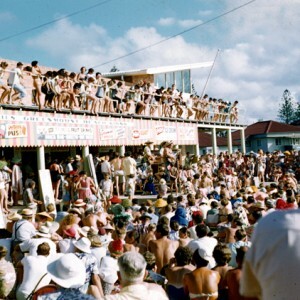 In 1939, the Nerang Show opened in its new showgrounds with a new display pavilion, show ring and grand stand. The weather was fine and it was considered one of the most successful shows for many years. In June 1940 the Show Society decided to cancel the event for the duration of World War II and refocus their energies to fundraising activities for the war effort. It was not until Friday 5 October 1945 that the Nerang Show resumed. 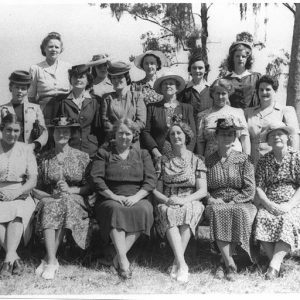 Allowing for the occasional break in holding the event annually, in 1946, the Nerang Show celebrated it 50th year jubilee on 4 and 5 October 1946. A souvenir catalogue was printed giving a history of the event and of the district. The show continued annually until 1955 when the fifty-ninth was held. From 1956, the Nerang Show is no longer mentioned in local newspapers and the showgrounds are recorded as being leased. 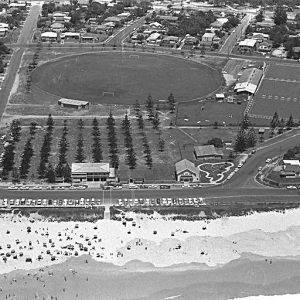 The site was eventually converted to a velodrome cycling track with the Gold Coast Amateur Cycling Club, established around 1967, using the pavilion for their club until it was destroyed by fire in 1995. Twenty-five years after the final Nerang Show, four local residents, Merv Silver (Sivyer), Col Colson, Frank Chastern (Chaston) and Mark Knight organised a public meeting in December 1977 and the first of a new series of shows was held the following year. In 1983 a newly formed Nerang Show Society created a two-day programme of equestrian events to be held at the Albert Shire’s Australia Day grounds, Carrara. The Southern Queensland and Border Agricultural and Pastoral Association, Logan Witness, (Beenleigh, Qld.) 13 Sep 1884, p. 3. Southern Queensland and Border Agricultural and Pastoral Association 50th Annual Show Souvenir Catalogue. S.Q.B.A.P.A. : Nerang, 1946. pp. 5-6. Alteration of Date. Logan Witness, (Beenleigh, Qld. ), 2 May 1885, p. 2. Queenslander, (Brisbane, Qld.) 2 May 1885, p. 710. Nerang – Show Society, Brisbane Courier. (Brisbane, Qld.) 25 Jul 1927, p. 3. Nerang Show Abandoned. Border Star, (Tweed Heads, N.S.W.) 28 Jun 1940, p. 2. Nerang Show Society. South Coast Bulletin, (Southport, Qld.) 21 Mar 1945, p. 1. How the show got on the road. Gold Coast Bulletin, (Southport, Qld.) 22 Sep 1982, p. 4. It’s Showtime – Nerang Show set to go. Gold Coast Hinterlander, (Southport, Qld.) 17 Aug 1983, p. 8.